As you can imagine, we've visited some lovely Venues in our time and Oaks Farm Barn is no exception. We've always had great feedback from everyone about what a lovely place this for not only Parties and Corporate Events, but also for Weddings and all other occassions. Are you ready to leave the pressures of everyday life behind you? Uncover the tranquillity of Oaks Farm; a beautiful wedding and events barn situated 10 miles outside of London. Located in rural Surrey, the barn is just a stone’s throw away from Bromley and Croydon. This charming event’s venue has a picturesque backdrop of beautiful rolling hills, and is a popular choice for weddings, family occasions and corporate events. Oak Farm is set in two acres of attractive cottage-style gardens which make the perfect setting for laidback summer strolls with a glass of champagne in hand. Winter weddings or birthday celebrations can also prove to be just as magical at this attractive property. For those who are looking for a cosy and intimate event’s venue, Oaks Farm is for you. Named due to its stunning oak beams, this rustic property looks at its best when filled with delicate candle lights and fresh flowers, or decked out as an elegant and formal conference setting. It really is a wonderful spot for a romantic wedding breakfast, sophisticated business lunch or special birthday celebration. Oaks Farm Barn also has a stunning Orangery available to hire as part of your events package. Ideal for civil ceremonies, it provides a delightful reception area and features beautiful views across the garden. It provides a wonderful backdrop as you recite your vows or to stand and make an inspiring business presentation. Want to make the most of indoor and outdoor space in the lovely Surrey countryside? Oak Farms Barn is well equipped for tiny to medium sized weddings, with the capacity to hold up to 100 guests. It has two spacious reception rooms and a bright and elegant Orangery, as well as the charming and well-maintained gardens. The Oaks Farm Barn is fully licensed to conduct wedding nuptials and welcomes both civil ceremonies and civil partnerships. 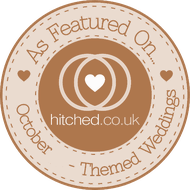 A wedding co-ordinator is also available to ensure everything runs smoothly on the day. For wedding dining, you can choose between seated or buffet facilities, with in-house catering an option for those booking their special day. The venue has a licensed bar and provides a corkage option if required. For your evening entertainment, Oaks Farm Barn has a music license, facilities for a DJ and a live band, as well as a dance floor. It is also well connected with a variety of wedding service providers, including musicians to toast makers and florists to make-up artists, all of which can help add the sparkle to your special day. Oaks Farm Barn has a car park for 60 vehicles and has plenty of room to pull up in your classic car or wedding taxi. If you’re looking breath-taking yet down-to-earth party venue, the Oaks Farm Barn is perfect for you. It has everything a great party needs – an entertainment license, a bar and an environment that’s welcoming to both young and old guests alike. You are able to make the most of all the facilities that are in place for weddings; from buffet and fine dining facilities to the DJ gear and alcohol license. Forget stuffy boardrooms, the Oaks Farm Barn provides a relaxed and attractive setting for any small to medium corporate event. Bookable for up to 100 attendees, it’s the ideal venue for conferences, team building days and business award ceremonies. Here at Camera Cabtastc, we pride ourselves on our service, providing White London Taxis for Weddings and London Taxis equiped with real Photo Booths inside. Since our start, we have provided unique services to 100's of Parties, Weddings and Corporate Events across, London, Surrey, Sussex, Hampshire and Kent.